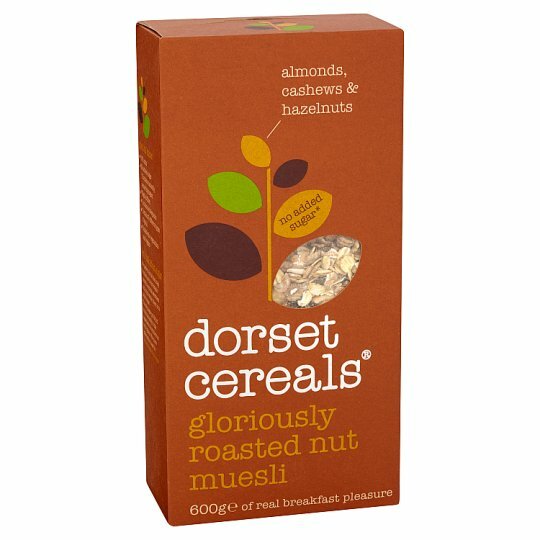 A blend of rolled and toasted flakes with brazil nuts, roasted almonds, roasted cashew nuts and roasted hazelnuts with dried fruit and seeds. We prefer to let all the lovely fruit we use in our cereals provide a natural sweetness and in this recipe, there is no added sugar. So, go on, jump in that muddy puddle; dye your hair; go wine tasting; learn the panpipes. Because when your savour the present, life suddenly becomes far more delicious. Once opened, roll inner bag down tightly and eat within one month. Store in a cool, dry place., For best before date, see base of pack. We'll do everything to put it right of course, this does not affect your statutory rights. We use only the best & most carefully selected ingredients, which means sometimes a stray piece of shell or fruit stone may sneak past our checks and into your bowl.